So cute! 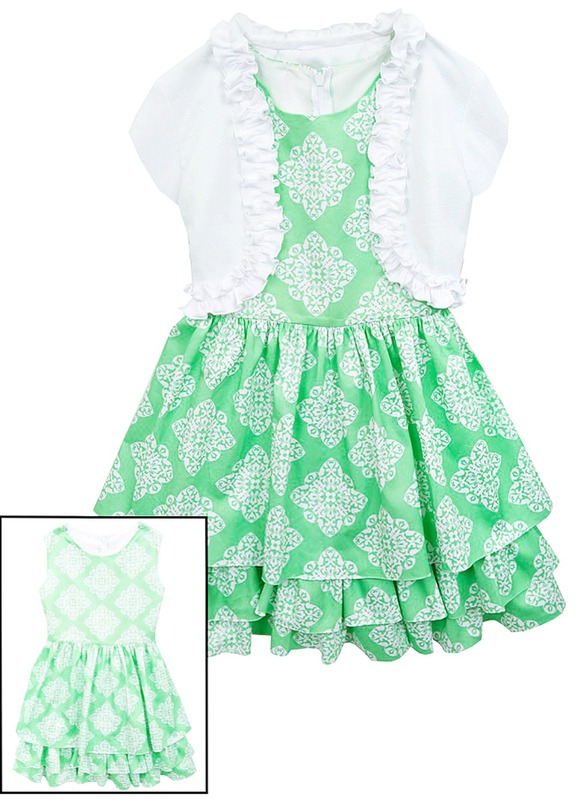 Mint and white toile sleeveless girls ruffled and layered sundress comes with matching white ruffled cardigan. Perfect for her Easter dress, services or any fun occasion. Dress is cotton with poly cotton blend lining.